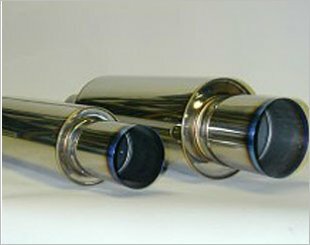 An exhaust system is usually a piping used to guide reaction exhaust gases away from a controlled combustion inside an engine. 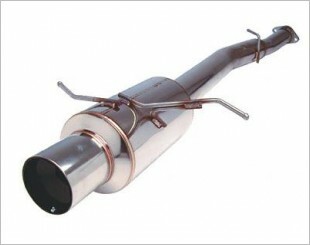 The entire system conveys burnt gases from the engine and includes one or more exhaust pipes. 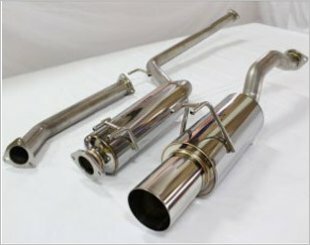 Aftermarket exhaust systems are intended to replace OEM/stock exhaust systems in order to gain better performance for the vehicle. 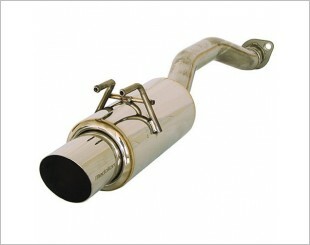 The horsepower of the vehicle will increase by the reduced back pressure of the OEM/stock exhaust system. 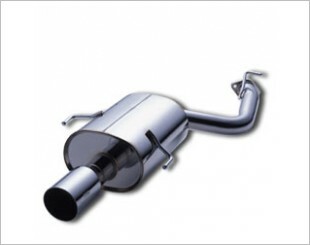 Upon replacement of the high performance exhaust systems, you will be able to experience a more noticeable engine sound, which may not be desirable to everyone. 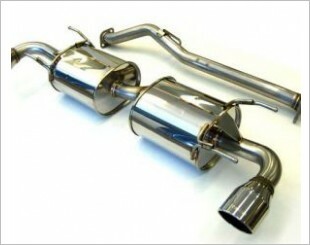 Cosmetic enhancements is also possible by changing the visible parts of the exhaust system like the muffler tips. The Fujitsubo Legalis R exhaust system reduces noise while increasing exhaust flow, in turn increasing engine power and torque, making your car a quiet beast. 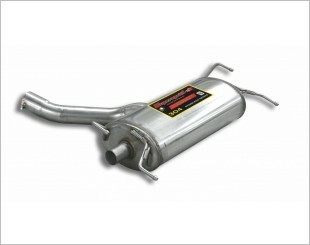 The HKS Legamax exhaust is designed for JASMA compliance, utilising Advtanx fiber glass wool for reduced volume whilst maintaining increased performance. 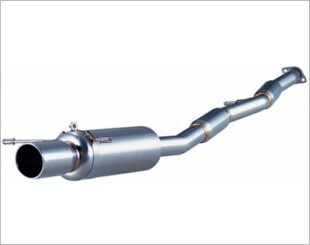 The HKS Hi-Power exhaust offers a greater flow and higher-PRM power gains due to the less restrictive design. 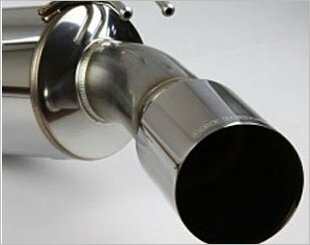 All Supersprint street legal systems meet the stringent requirements of TUV testing for quality, design, construction and sound emissions. 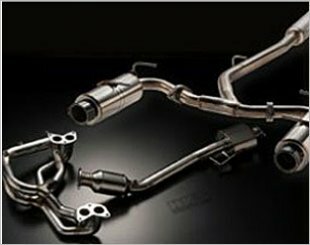 The HKS Hi-Power Ti universal exhaust offers a greater flow and higher-PRM power gains due to the less restrictive design for most cars. 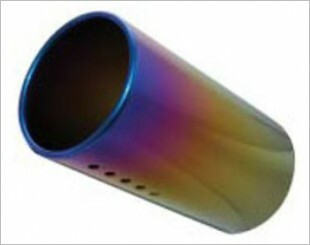 The Fujitsubo Rainbow Finisher Muffler Exhaust is a nifty, colorful little add on for your exhaust pipes. It's a good piece of equipment to pimp your ride. 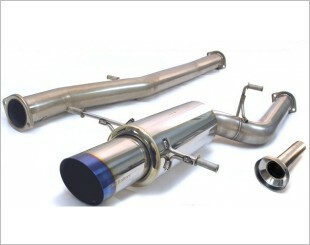 Used in turbocharged cars with extensive modifications. Features high power benefits, while maintaining responsible sound levels. 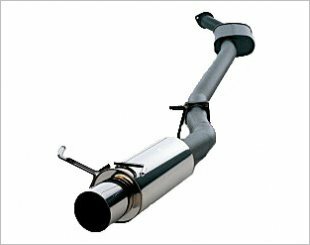 High levels of exhaust system efficiency while maintaining a street drivable, extremely low frequency and deep tone that is under 93db. 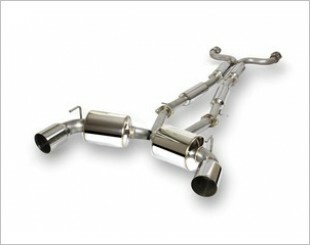 To achieve the completeness of muffler tuning. 4 inch stainless steel tips with logo. Designed and built base on the concept of the legendary Apexi N1. Features a straight-cut 4-inch polished stainless steel tip with a laser-cut ARK Design logo. Provides both form and function which deliver durability, a sense of security, a comfortable sound, and overwhelming high-end power. 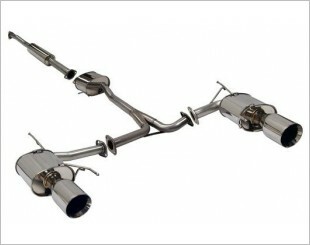 Full exhaust system from exhaust manifold to muffler.